Abu Dhabi, UAE – 3 July 2018 – Entries for the oil and gas industry’s prestigious ADIPEC 2018 Awards are now open, with six categories focused on issues crucial to the progress and resilience of the hydrocarbons sector. Celebrating achievements across the oil and gas industry, the ADIPEC Awards identify the leading companies, individuals, initiatives, projects and technologies that are shaping the sector’s future, in a changing energy landscape. Entries will remain open until August, and submissions can be made via the ADIPEC website. 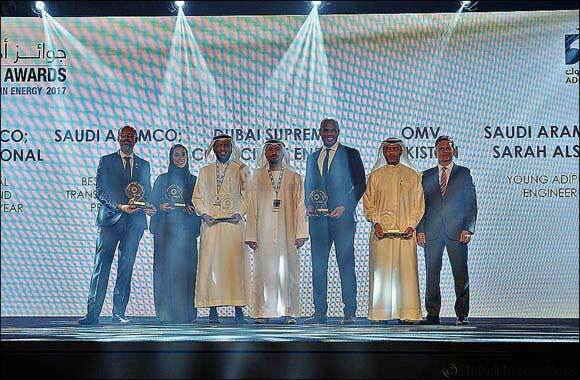 The ADIPEC Awards are a highlight of the Abu Dhabi International Petroleum Exhibition and Conference (ADIPEC), the world’s most influential event for oil and gas executives. They reward corporate and individual accomplishments in technology; research; digital transformation; efficiency and performance; social contribution and personal achievement. A meticulous judging process will see each submission assessed by a jury of experts, comprising senior industry executives and professionals drawn from national and multinational oil and gas companies, academia and industry associations. The jury will review the submissions following a thorough and transparent three-stage process. First, they will be reviewed and validated against the submission criteria, then jury members will independently assess and evaluate entries in their assigned categories. The three most promising entries, in each category, will be shortlisted and their names announced at the beginning of October, before the jury meets to choose the winners in each category. Winners and runners-up will be revealed at the ADIPEC Awards Evening held on the opening day of ADIPEC, 12 November, 2018 at the prestigious Emirates Palace. Awards’ sponsors include Mitsui & Co., the Japan Oil Development Co., Ltd. (INPEX/JODCO), the UAE’s National Petroleum Construction Company (NPCC), and the Arab Development Company (ARDECO). ADIPEC 2018 will be held under the patronage of His Highness Sheikh Khalifa Bin Zayed Al Nahyan, President of the UAE, and hosted by the Abu Dhabi National Oil Company (ADNOC). The event will be held over four days from 12 to 15 November at Abu Dhabi National Exhibition Centre (ADNEC).